Providing total care for athletes, active individuals and 'weekend warriors' of all ages. The Earl Bacon Agency is one of the oldest and largest independent insurance agencies in North Florida. Fighting to protect clients charged with a felony, misdemeanor, or DUI offenses. When it comes to righting wrongs for victims of accidents, negligence, or social injustice, our attorneys at Searcy Denney fight aggressively for your rights. 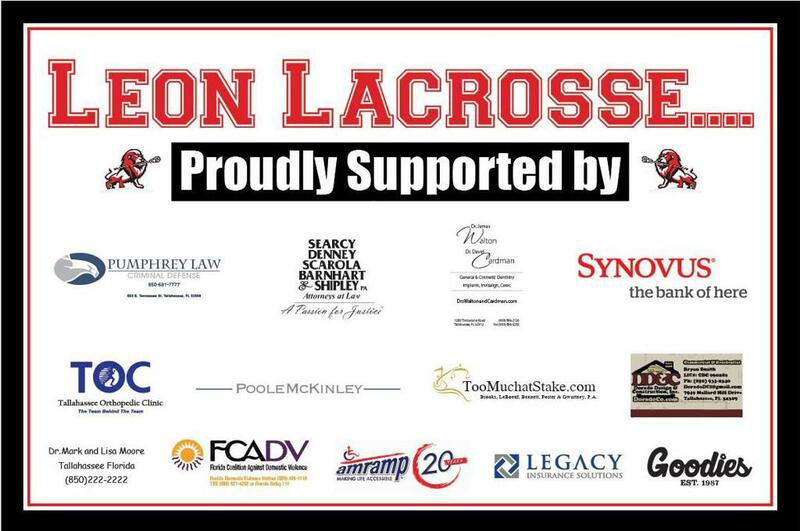 ©2019 Leon Lacrosse / SportsEngine. All Rights Reserved.